Blog Home » Are You Texting Your Customers Too Much? Communication is found everywhere in the world; communication is the key to life. One essential way we communicate with each other is through text messaging on our cell phones, also known as ‘texting’. This process of communicating is everywhere in the world and makes it really easy and simple to reach someone, oftentimes in situations where you are unable to actually talk. Companies know how popular texting is, and many are jumping at the opportunity to expand their horizons through text message marketing. Many companies are communicating with their customers via texting, and customers love it, too. The message is received within minutes of it being sent, the offer doesn’t require any additional work to redeem or receive, and it is fast and east. What’s not there for everyone to love? Text marketing is so versatile there isn’t a business out there who is looking for quick and effective communication and repeat business that cannot benefit dearly by using text marketing. And, it is so affordable it is definitely a win-win situation for everyone involved. But, as we all know, too much of a good thing can be bad, and that is certainly the case with text marketing. When a customer opts in to receive your messages, make sure they are aware of the number of messages you intend to send to them, and make sure that you do everything possible to adhere to that schedule. You’re excited about what you’re offering, as you should be. And customers want to know. They really do. But what they do not want Is to feel like they’re being pressured or to keep checking their messages every hour only to see that you’ve sent something else. If you are repeatedly sending messages this is what the customer will feel. 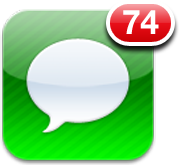 Keep in mind some people also do not have unlimited text messaging, so your texts may very well be costing them! Companies can send a message once per day, once per week or even on a monthly basis if they so choose . no more than once per day, however, is the general rule of thumb to keep customers satisfied. You must remember that people work, they have things to do with their kids and they simply do not have time to check their phone all of the time. Send your messages wisely and they will thank you by remaining a loyal member of your text marketing club for a long time to come. Companies need to exercise the right balance of communication with the customer. Too little communication and the customer many feel disconnected, unimportant or uninvolved. Too much communication and the customer is annoyed and bothered. When the perfect balance of communication is achieved, something beautiful happens, and the customer is satisfied. When you are able to attain this then you have achieved everything that you need to make for a successful text marketing campaign. It is at this point that you will discover why it is catching on so well.